In the Australian honours system appointments to the Order of Australia confer recognition for outstanding achievement and service. The Order of Australia is the pre-eminent way Australians recognise the achievements and service of their fellow citizens. Except for Knights and Dames, nominations for awards in the General Division of the Order of Australia come directly from the community. contacts referees. Nominations are considered by the Council of the Order of Australia which makes recommendations direct to the Governor-General. On Friday morning, around 10.30, Pittwater Online News posted on its Facebook platform one of the recipients of a Medal (OAM) in the General Division was Ken Hughes - the news quickly spread, has been seen by 1,835 people as we got to publication, with 28 on-shares, so a fair amount more than that. Many have posted 'Congratulations Ken!' or 'Congratulations Ken!! An asset to all the organisations you are involved with - and there are lots!!!' and 'Proud of you Kenny! Well deserved and well done!' even at 2a.m. this morning. The man is a Pittwater Legend - and has been so for decades. The citation for Ken's OAM is a long list of volunteer service stretching back to 1979 in many areas and organisations and through some of the tough battles residents have had to take on as formed groups because if these individuals hadn't stood up something irreplaceable would have been lost. Pittwater Online News spoke to Ken, in between volunteer work that's still ongoing for this Bilgola Plateau gentleman. 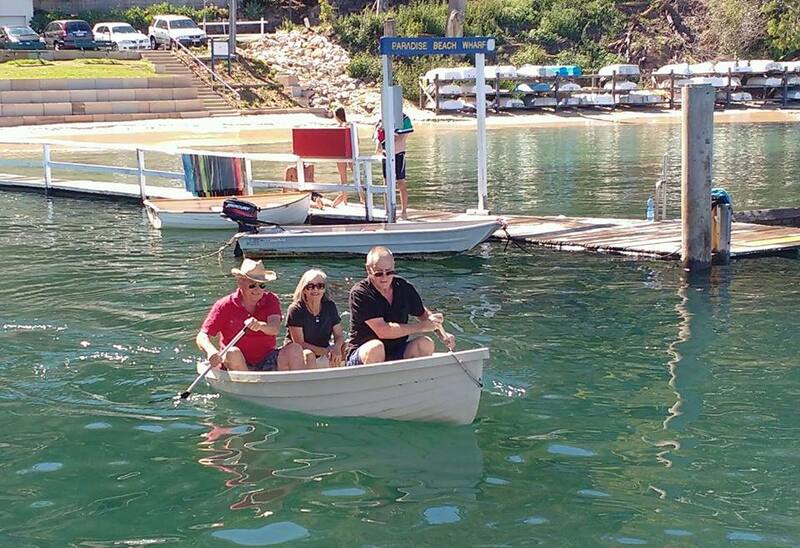 On Saturday January 27th, and hosted by the Pittwater yacht club renowned for focusing on fun (the WPYC) the annual Putt Putt Regatta and Gentleman's Launch race takes place on the day after Australia Day, shifted from that date due to traffic on the estuary. Afterwards there is always a barbecue on the beach with cooling drinks available and some fun - such as tug-of-war and other games. There are prizes for the best dressed boat, many dressed up to a theme, and best dressed crews on these, as well as other prizes and the trophy for 2018. The WPYC Putt Putt Regatta is known statewide, with members receiving an invitation in 2017 to be part of the Davistown Putt Putt Regatta, one of the early (1900) and reintroduced regattas that takes place on Brisbane Water as part of Gosford Regattas. Putt-putt boats usually range in length from 14-18 feet and are powered by either single or twin cylinder 2 to 10 hp Blaxland/Chapman, Simplex or Clay inboard petrol driven engines all of which make the vary familiar 'putt-putt' exhaust sound. The WPYC prides itself on its fleet of wooden classics in all forms of vessels from the small to the bigger than that, many with a history linked with Pittwater and the still undeveloped offshore areas. Jools Farrell and Penny both kindly shared some photos they took, which run in this week's Issue. One image caught by Penny reminds of one found and run on purpose because it reminded us of a younger Pittwater and the Elvina, and even looked like Pittwater may have looked then when a page on the Elvina was shared a few Issues back. There's something about that Samuel Hood picture, a man who was a regular visitor to Pittwater, which makes you think you're looking at our offshore areas in that background - it captures the 'feel' of then, and now - a certain something that's been retained by our offshore idylls and ideals. Just goes to show this place is a vision and getting to be part of such fun, while keeping it laid-back and among great people, is what the WPYC Putt Putt Regatta is about - every year! 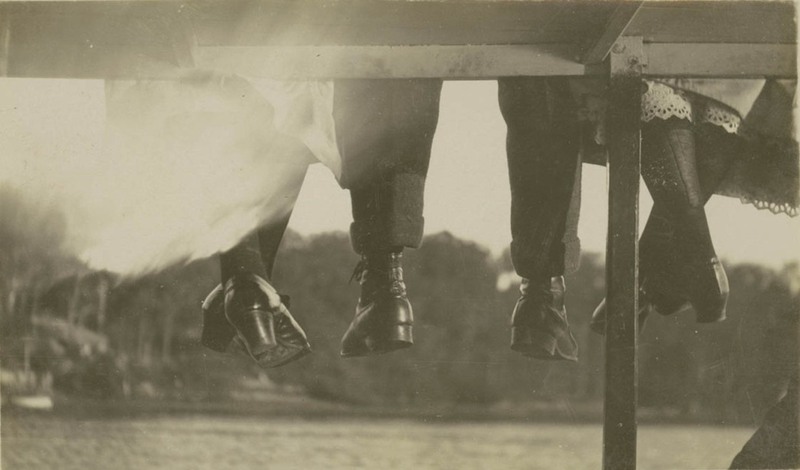 One man's and two women's legs as they sit on the roof of a ferry. Hood, Sam, 1872-1953, from Album Hood Collection part II : [Postcards: Australian and overseas] Date of Work ca.1905-ca.1925. Image No. a342015. Courtesy State Library of NSW. 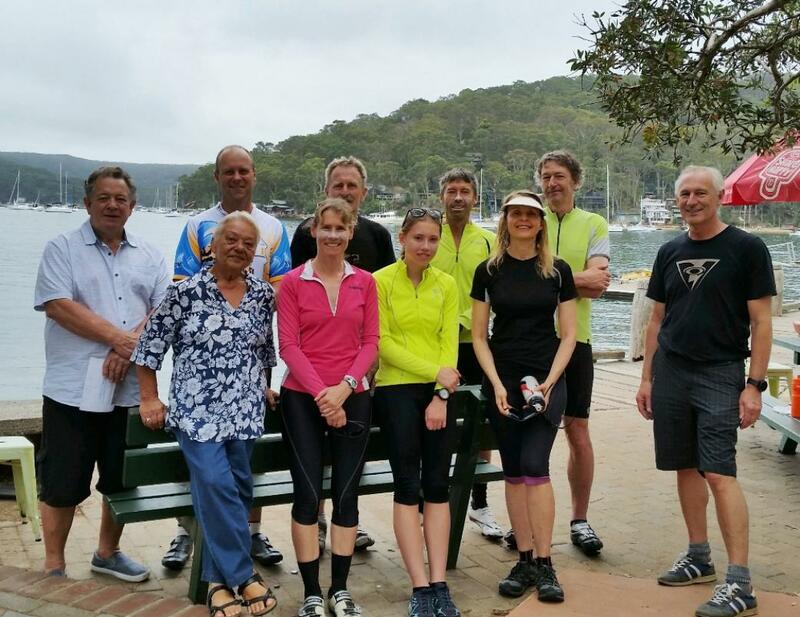 On Friday 26 January, Australia Day/Survival Day, a group of non-Aboriginal cyclists rode from Manly to Church Point to honour the Aboriginal clans of the Northern Beaches. They met at 7am at the plaque near Manly Wharf where Wil-Le-Me-Ring, a Garigal man, speared Governor Captain Arthur Phillip, wounding him. This is the first event of this kind on the Northern Beaches and is welcomed as a gesture of reconciliation. They rode through Manly, Queenscliff, Freshwater, Curl Curl, Dee Why, Collaroy, Ocean Parade, Narrabeen, Mona Vale, and Church Point then back to Manly. The group were met at Church Point by local Garigal man Uncle Neil Evers with a Welcome to Country and a thank you to the riders. Aunty Clair Jackson gave a small talk about Australia Day and how the large midden on Church Point was saved by the erection of the first church and cemetery on it in 1872, leading to the local name of Church Point. We hope this cycle ride will become an annual event. North Narrabeen surfer Cooper Chapman along with Matt Wilkinson (Copacabana), Adrian Buchan (Avoca Beach) and Wade Carmichael (Avoca Beach) have attended Surfing Australia's highly successful three-day Olympic Readiness Camp as the journey toward the Tokyo 2020 games ramped up this week in Northern New South Wales at the Hurley Surfing Australia High-Performance Centre (HPC). The camp, facilitated by Surfing Australia’s Elite Program Specialist Nam Baldwin ran from January 23rd -25th and was an important event as it brought together Australia’s top surfing athletes deemed most likely to be in contention for Tokyo 2020 for planning, education, and the establishment of what will be a Team Australia culture as we head to Japan. 6 X World Champion Stephanie Gilmore said the camp had been a positive learning experience and she was overwhelmed by the team spirit shown over the three days. 3 X World Champion Mick Fanning doesn’t mind what his involvement is, he just has to be there when the first heat gets underway at the Tokyo 2020 games. 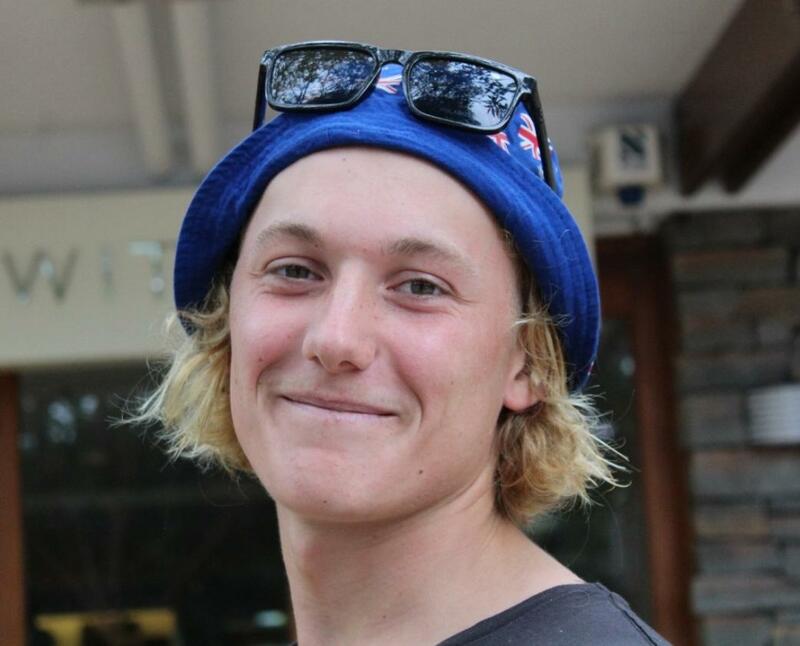 Surfing Australia has appointed a National Selection Panel with a wealth of experience and knowledge to work with Elite Program Manager Bede Durbidge over the course of the Olympic Cycle. 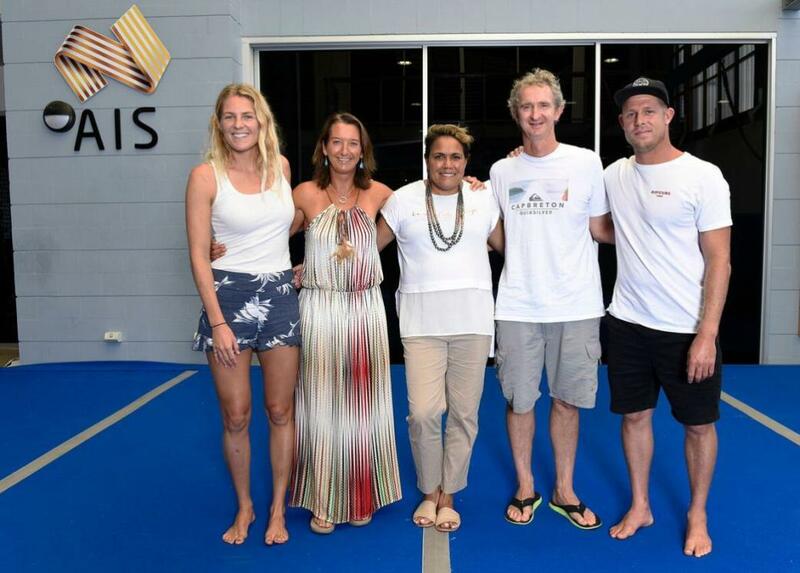 The National Selection Panel includes 7 x World Champion Layne Beachley, 4 x World Champion Mark Richards, ex WSL surfer and Talent Pathway Coach Kate Wilcomes and 3 x World Champion Mick Fanning, all of whom were in attendance over the three days. 7 X World Champion and Surfing Australia Chair Layne Beachley spoke of the huge significance of the occasion for surfing as a sport. Off the back of this camp, a 2018 National Olympic Squad will be announced in early March. Left to right: Brett Stapleton ASC Australia Day Regatta 2018 organiser, Kelly Holder (Couta Boat Club Pittwater Chapter – now at ASC), Jane Durham, Commodore of Avalon Sailing Club and David Hyde, on starter boat etc, one of the many volunteers that make this great club work. 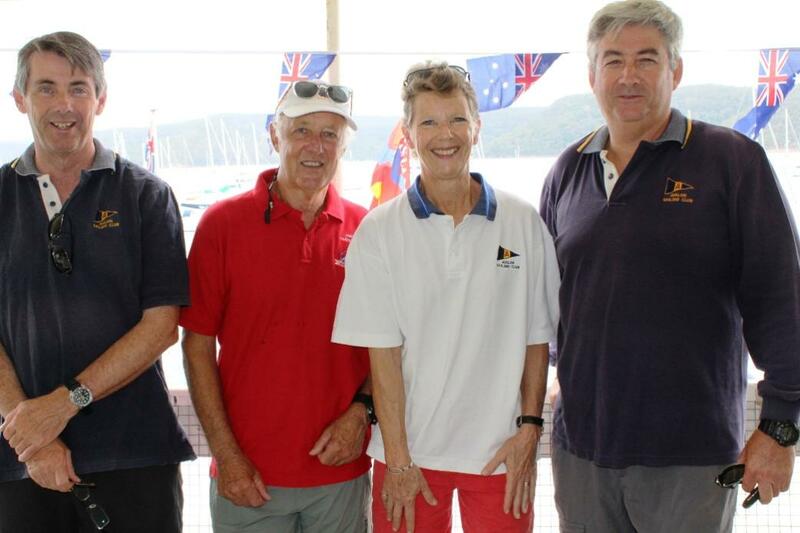 Avalon Sailing Club again hosted the Australia Day Regatta on Pittwater. A cordial invitation is extended each year to owners of all yachts - including centreboard classes, one-design keelboats, gaff-rigged and classic yachts plus multihull yachts, to enter the oldest continuously conducted sailing regatta in the world on Australia Day, Friday 26th January 2018. This year was the 182nd edition. There are prizes in each division for Scratch and Handicap as well as 'Best Dressed' prizes. First prize winners are invited to Sydney Town Hall for presentation of their medals at a later date and other prizes are awarded on the day at the Avalon Sailing Club. Entry includes a sausage sizzle at ASC after the presentation. The races usually start after lunch although registration at the club commences in the morning, with lamingtons and hot coffee on offer! Jane Durham is current Commodore at Avalon Sailing Club – Avalon was one of the first sailing clubs to have a female commodore, their first being Helen Carlson 1995-97. This year was a bit of a classic turnout for the ASC Australia Day regatta, with couta boats form the Couta Boat Club – Pittwater Chapter, along with some other classic vessels making the most of a great day on the estuary. The children’s register at Avalon Sailing Club is currently full although people should keep up to date with upcoming Children’s Camps on either the club’s website or Facebook page. Last week four of the club's these younger sailors took part in the F11 Nationals at Manly being hosted by the Manly 16ft skiff sailing Club (M16SSC). Although the younger sailors register is full, there’s still room for Adult Membership and if you’re new to getting on the water, or with that brilliant Pittwater salt air in your lungs, the Adult Sail Training available at Avalon Sailing Club may be the place to begin. Pittwater Online News is Published Every Sunday Morning: 8 a.m.
Pittwater Online News was selected for preservation by the State Library of New South Wales and National Library of Australia. This title is scheduled to be re-archived regularly.